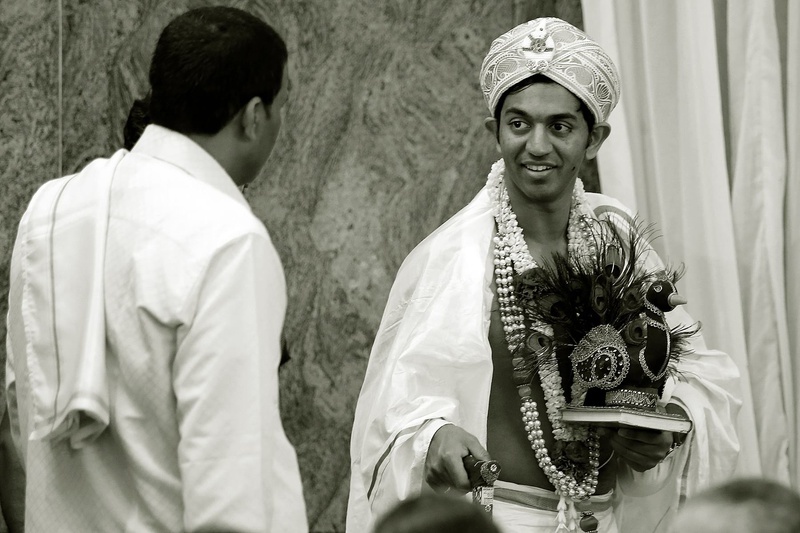 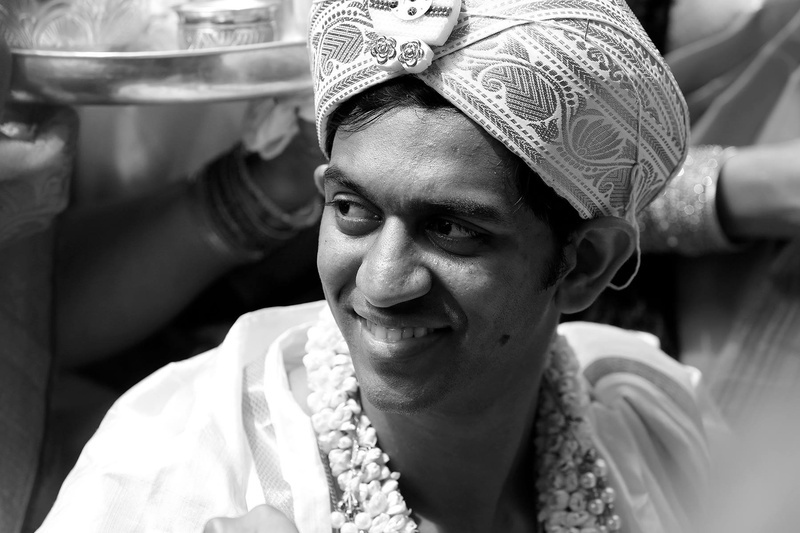 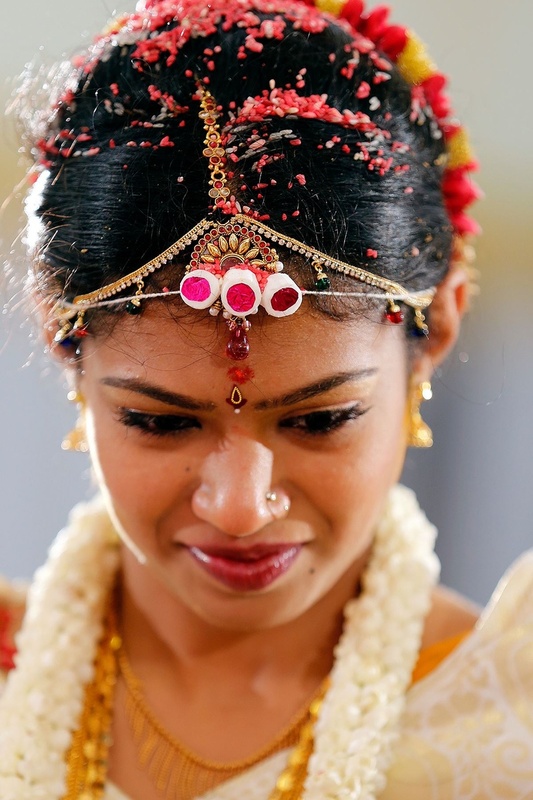 A wedding celebration filled with tons of ceremonies and traditional South-Indian marriage rituals. 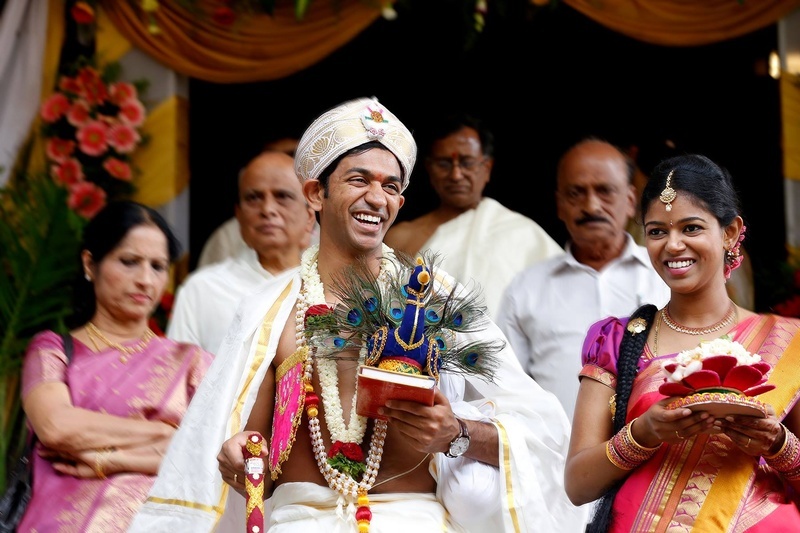 This couple did not miss out on anything. 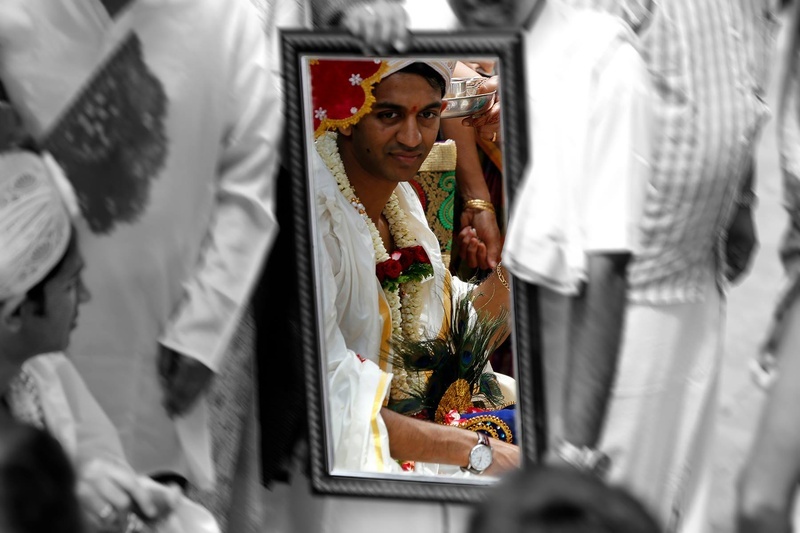 Whether it was their attire or Sushma’s jewellery, every aspect of this union was traditional to the T.
A brightly-lit banquet hall held the gorgeously decorated mandap where Sushma and Deepak took their Saat Pheras signifying promises of love, duty, respect, fidelity and a fruitful union with each other. 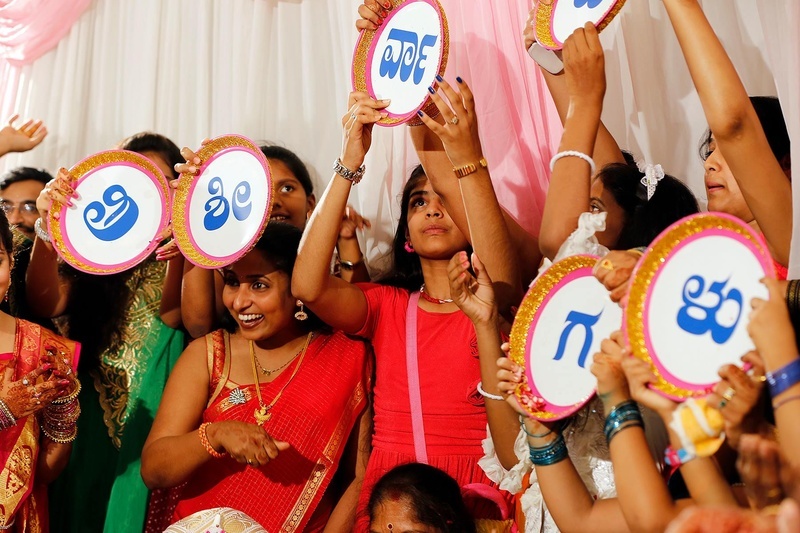 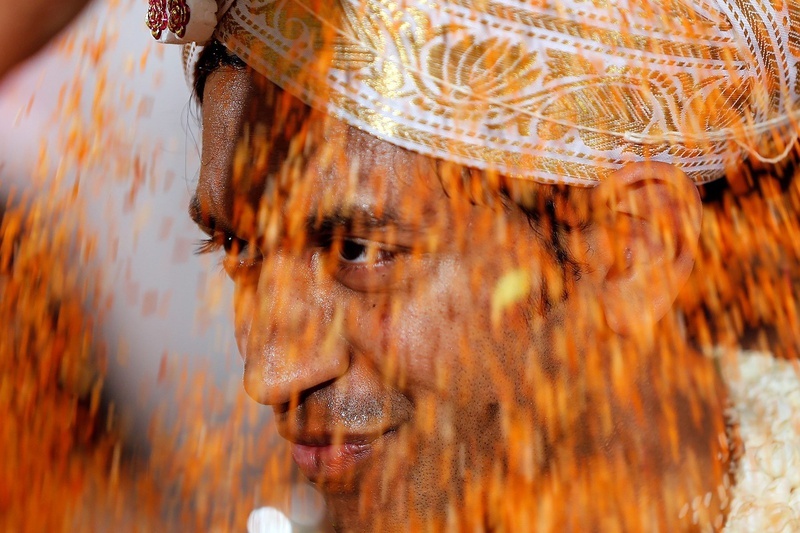 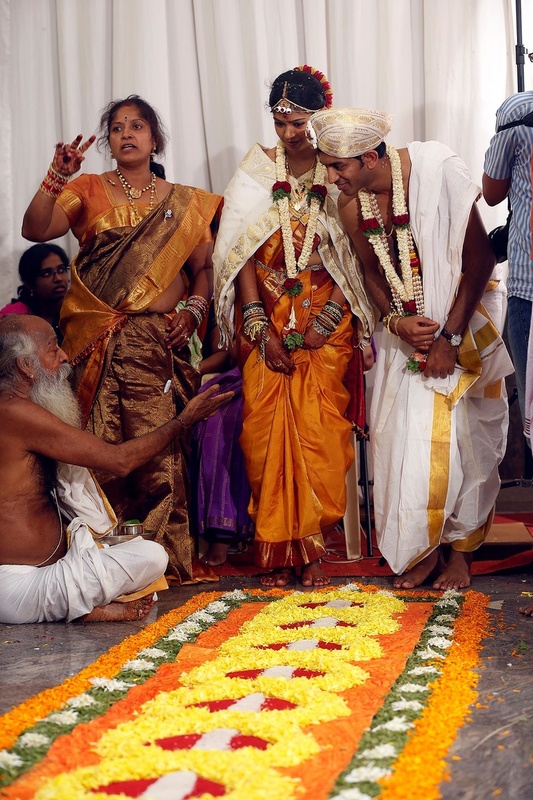 The couple agreed to be companions for generations to come, thus the ritual of the Saat Phere are the most important part of any Telugu marriage ceremony. 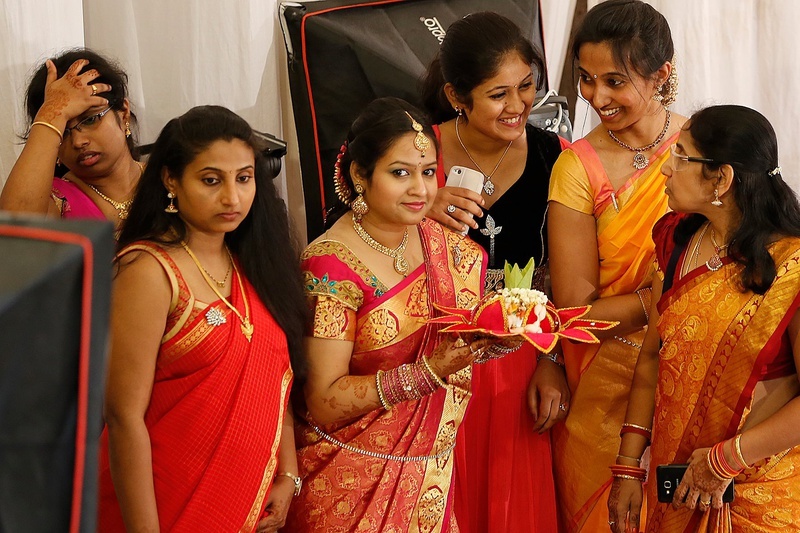 Sushma made a gorgeous bride in her mustard and red, dhoop-chhaon kanjivaram silk saree while her handsome donned the traditional gold and white dhoti and a gold brocade safa. 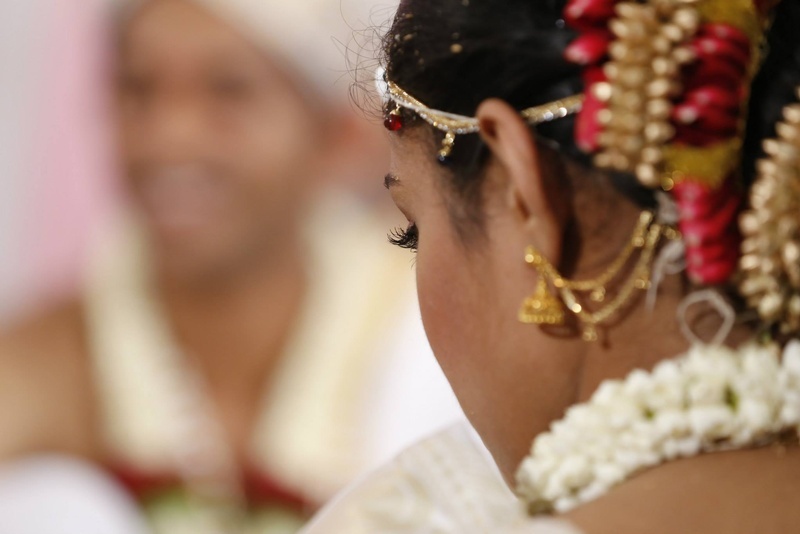 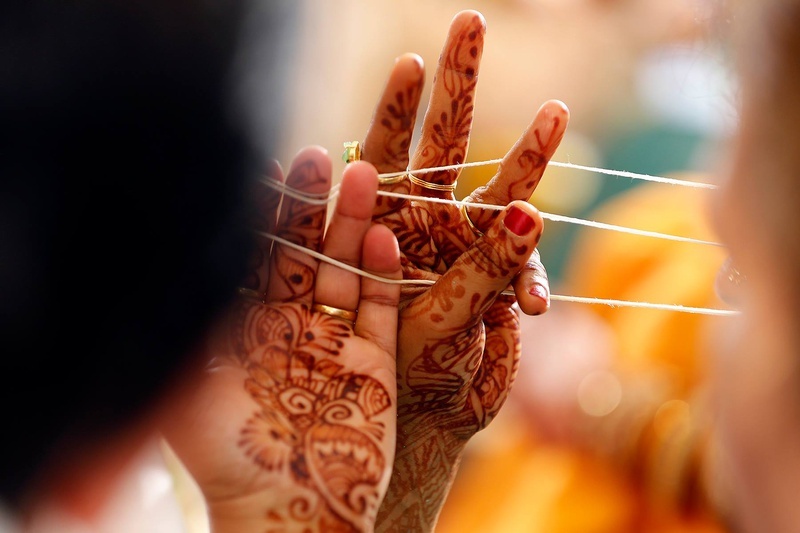 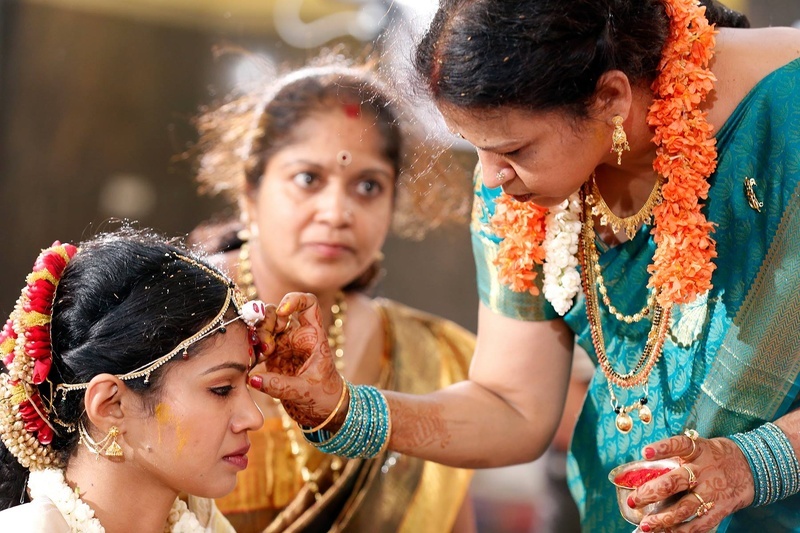 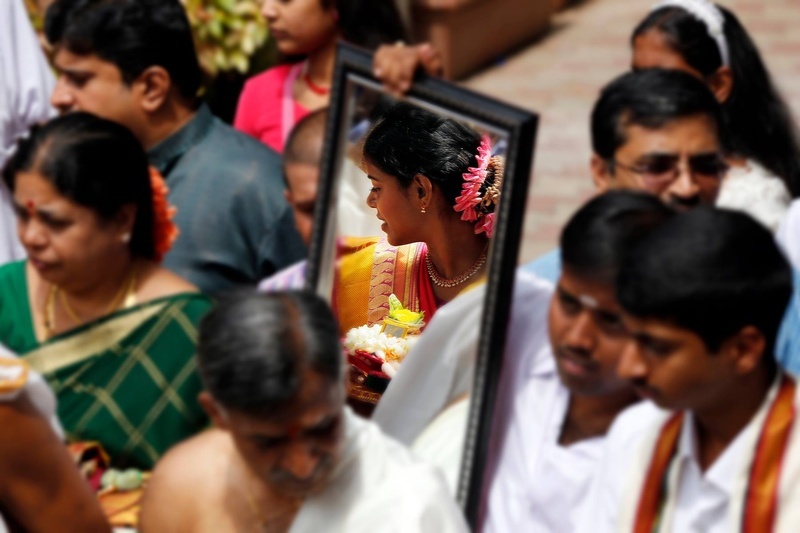 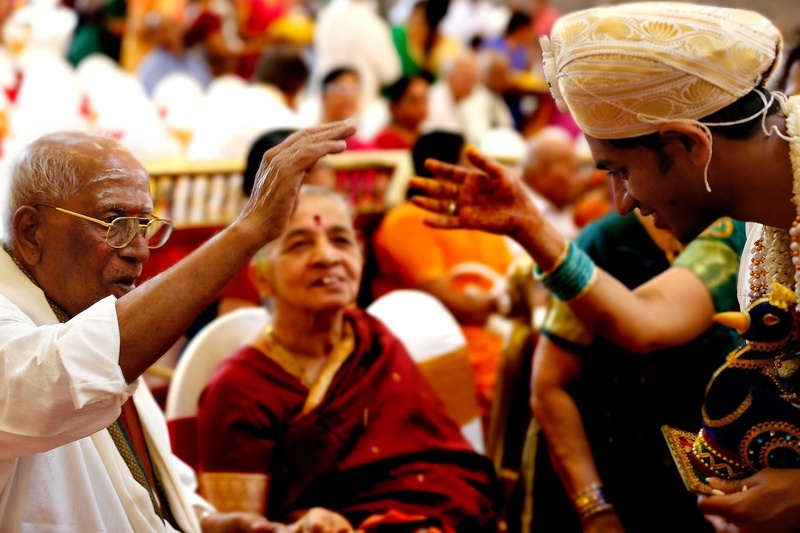 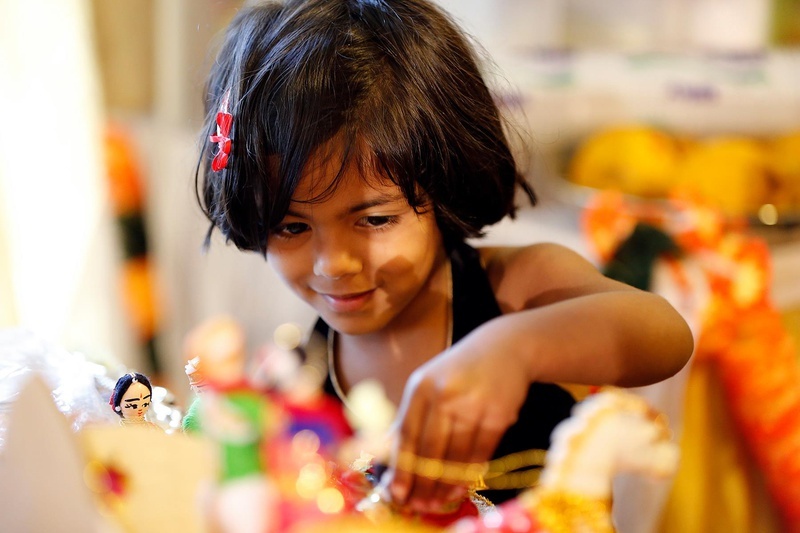 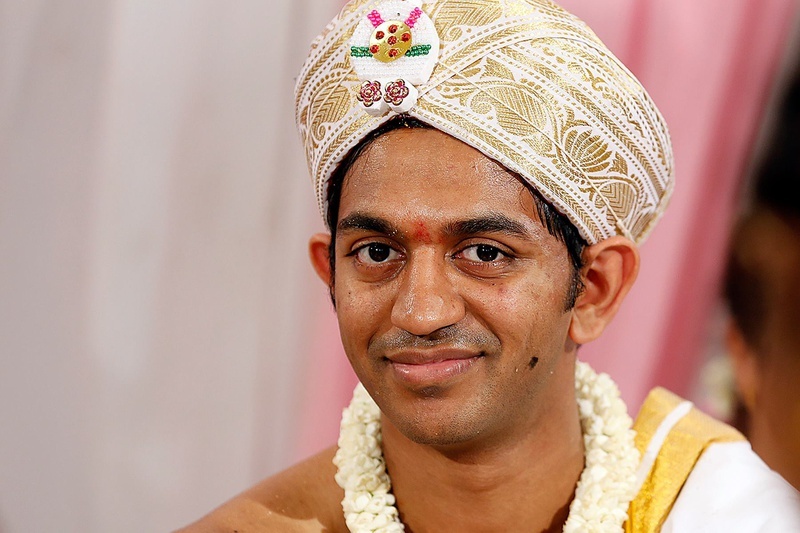 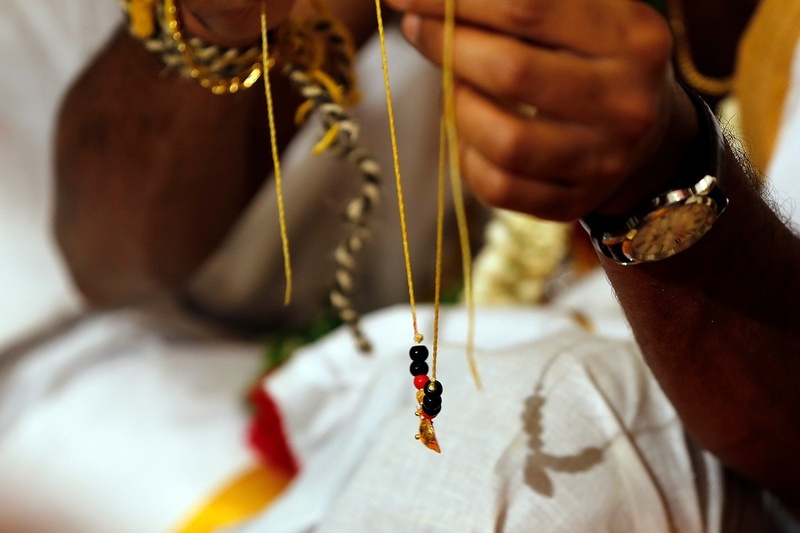 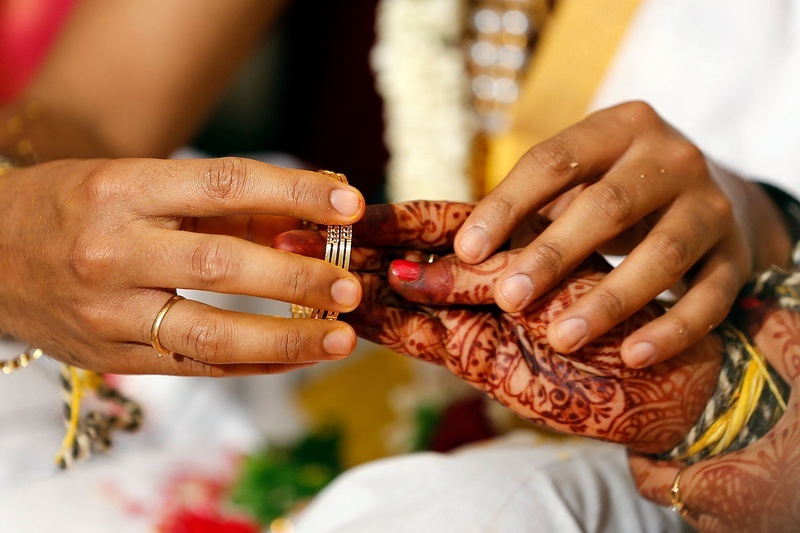 A Telugu marriage is a symbol of purity. 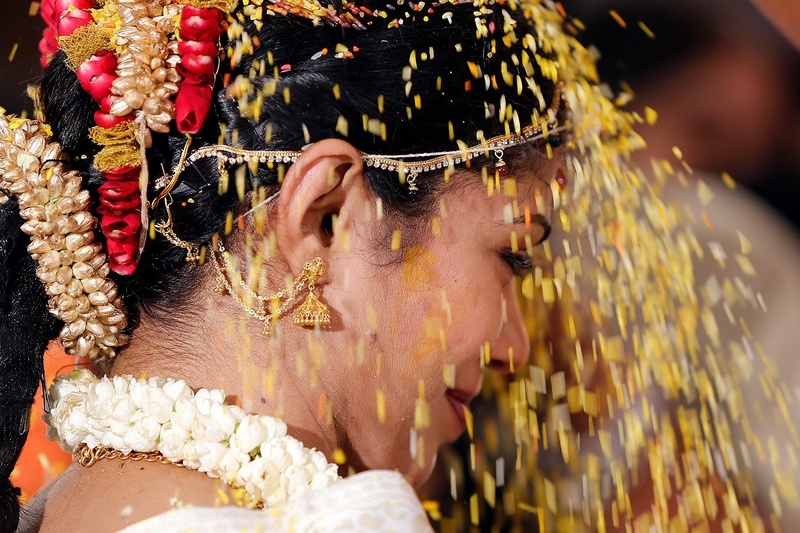 It is not only a union of two individuals but two families coming together, and Deepak Chabria Photography captured photographs at this beautiful union with great talent and peculiarity. 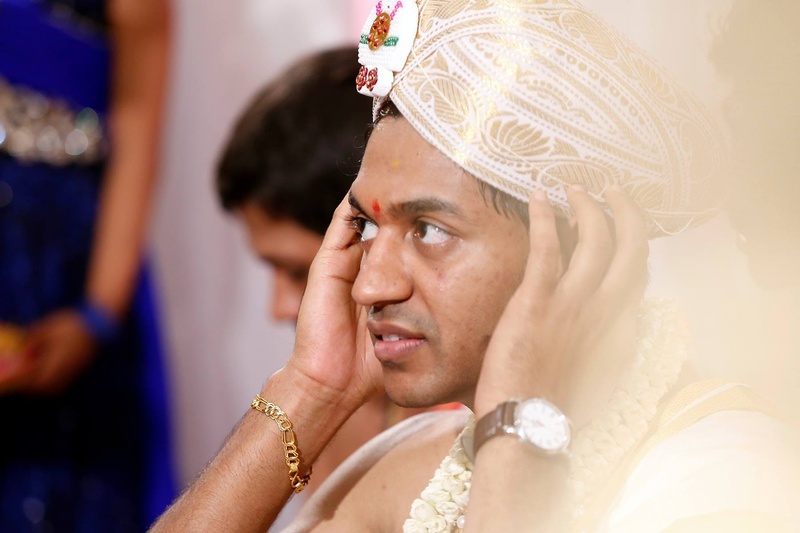 Each image aptly portrayed every ritual practiced and every emotion felt – helping Sushma and Deepak relive the beautiful memories from their special day through these pictures!